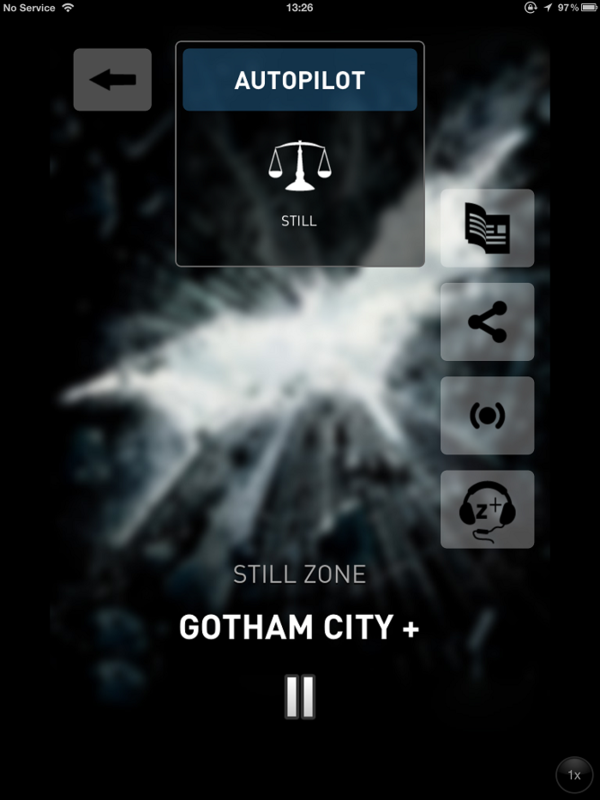 With the third and final act of Christopher Nolan’s Batman trilogy ‘The Dark Knight Rises’ hitting cinema screens across the globe, fans of the soundtrack from legendary composer Hans Zimmer will be in for a treat in the form of RJDJ’s new ‘The Dark Knight Rises Z+’ iOS app. The app is an evolution of the hugely popular augmented audio app for Nolan’s ‘Inception’ movie which includes the context driven player that team RJDJ developed for their recently released Music Zones (formerly a Project Now) music player. And quite an evolution it is too. For those not familiar with the Inception app, it allowed the listener to experience a range of audio ‘scenes’ where access was determined by factors such as time of day, the weather and the listeners location. These scenes featured material from the Inception soundtrack mixed in with warped reproductions of sounds picked up by the listener’s iPhone’s microphone – creating an atmospheric sonic landscape moulded by the user’s environment – a ‘cinematic sound experience for your real life’. 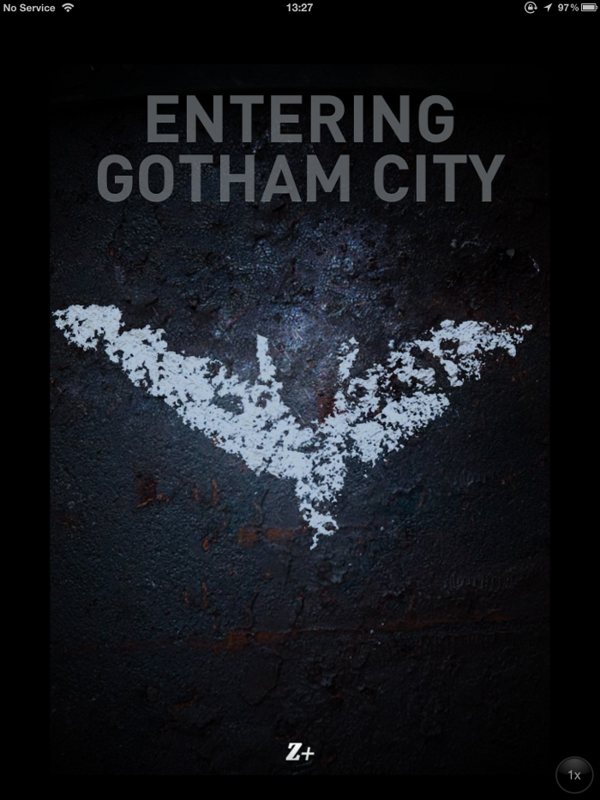 The Dark Knight Rises Z+ app takes this experience a step further, drawing the listener to a sonic version of Gotham City which features over two hours of audio. The soundtracks, which when combined with augmented versions of everyday sounds certainly evoke the dark and often panic fuelled atmosphere of the films, are included alongside recordings of Hans Zimmer and Christopher Nolan discussing the film. In practice the app is a certainly a unique listening experience and has the power to transform the sounds of everyday actions into very interesting soundscapes, for instance when testing the app out during my lunch it turned the normally innocuous act of eating a crunchy baguette into a mildly disturbing one, creating a barrage of sonic oddness over a deeply moody soundtrack. The context driven features which made ‘Inception’ so interesting are also in play here too – with specific soundtracks being triggered by the time of day (such as at night or during sunset) or by the listeners physical activity. One scene which is incredibly good fun is ‘The BAT’, a sound effect generator the RJDJ team developed with Academy Award winning sound designer Richard King, which allows you to shape the sonic landscape by moving your iPhone around – panning audio from left to right and generally warping the sounds around you. If that’s the kind of journey that appeals to you (and lets face it – it should!) 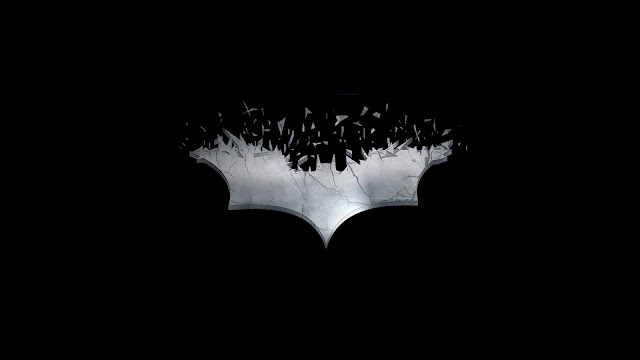 then you’ll be delighted to know that ‘The Dark Knight Rises Z+ app’ is available now from the App Store.